How do you prepare for Race events: Depends. Usually nothing. What is your best shot: Used to be fly kill. Currently it all feels like a struggle. Hope to get my serve back. Sean Lenning is affectionately known as “The Freak” for his unparalleled ability to consistently execute shots never before considered. 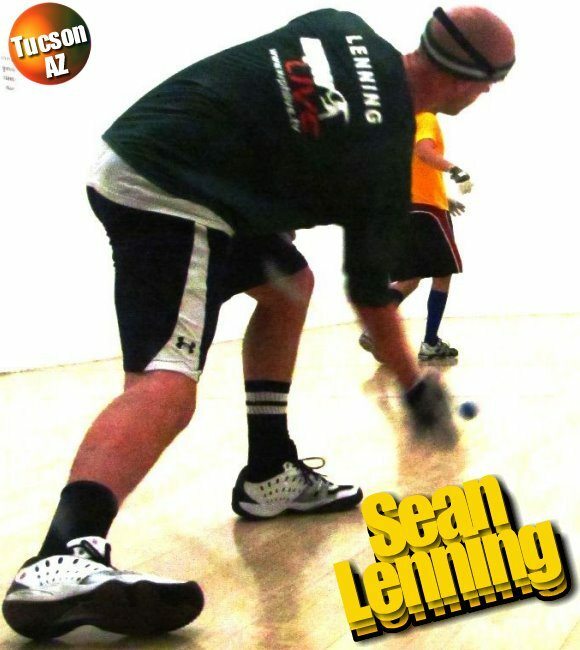 Lenning has been regarded as the most talented player in handball since his early teens and has parlayed that talent into five 3-Wall national singles titles, three R48 titles and two appearances in the Simple Green U.S. Open finals. Lenning possesses one of the most dangerous serve-and-shoot games in the history of the sport and often dominates matches by never allowing his opponent into rallies. Lenning has been on the short end of several of the most dramatic matches of the last five years, including an 11-10 tiebreaker loss in the finals of the 2007 U.S. Open to Paul Brady, an 11-8 tiebreaker loss to Tony Healy in the finals of the 2008 U.S. Open and an 11-9 tiebreaker loss to Paul Brady in the semifinals of the 2012 U.S. Open. At just 28, Lenning has the game and plenty of time to seize the game’s greatest trophies.